When Janet was diagnosed with breast cancer, she was sure her life was coming to an end. She had limited resources for day-to-day living, much less what she needed to care for herself with cancer. 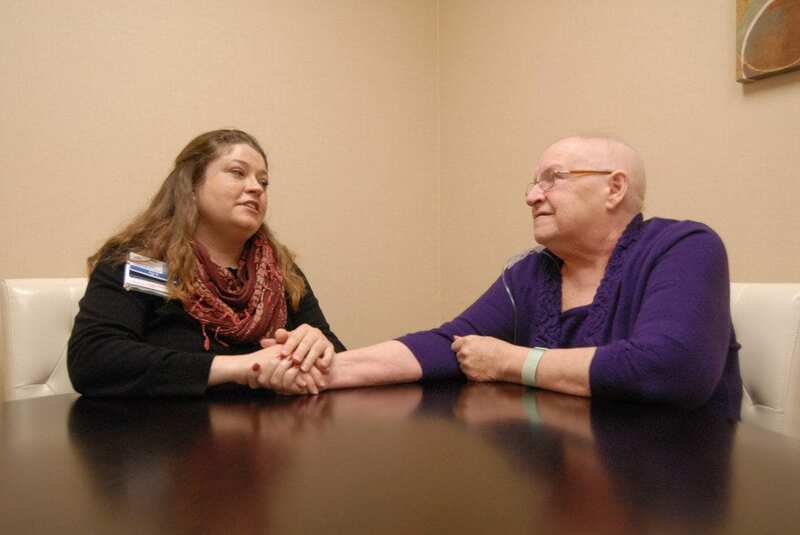 Ara Schnelle, the patient advocate at Hulston Cancer Center, took Janet into her office and began to describe the resources she could help provide. Ara’s position as an advocate is paid for by the Glauser Oncology Fund, the first Foundation Fund to “hug” Janet. As Janet met 1-on-1 with Ara, she expressed concern that Janet was becoming nutritionally compromised. In comes “hug” number two! Since CoxHealth Foundation provides free nutritional supplements to any patient in need, Janet was able to get one case per week at no cost to her through the Cancer Services Fund. The third “hug” then came from the HUG Fund – Help for the Uninsured Grants. HUG is among the most important funds as it allows CoxHealth Foundation to completely “wrap our arms around a patient” by filling a need where no other options exist. Janet had some unusual needs not covered by Medicaid. HUG covers these special medical needs like bus vouchers home from chemotherapy, assistance with a wig, or mastectomy supplies. Today Janet is making progress back to good health after receiving THREE times the love thanks to donors of the CoxHealth Foundation. Named for former CoxHealth Administrator and Philanthropist, Neil Wortley was famous for hugs and a generous “hand up” when a patient had no other way. His generous spirit is an inspiration as CoxHealth Foundation tries to carry on his legacy through the HUG Fund. Click here to give a HUG to a patient in need.